One motor rebuilt 2015 and the other 2014 and gearboxes are both being overhauled this year. 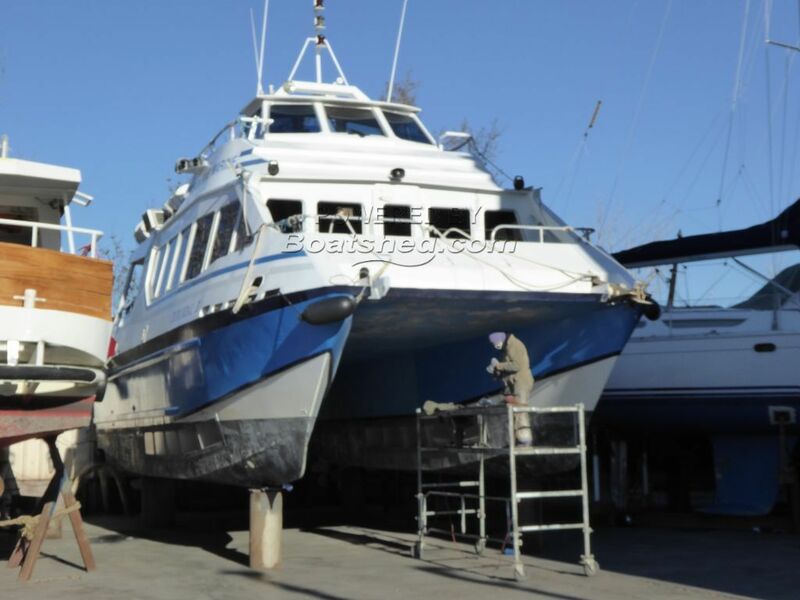 Opportunity to acquire a thriving commercial trip boat business established over 40 Years. Licence for 97 passengers & 3 crew 4th category 77 passengers & 3 crew 3rd category running various trips of between 1 and 6 hours. The owners are selling this business as they are retiring. The business is currently run by the two of them with extra staff employed for the summer season and currently returns 40k net after all salaries and expenses. There is scope to increase the turnover and profitability of the business. Vat is applicable to this sale but would be refunded back in the first quarters trading to a vat registered business. This Trip Boat 14m Passenger Catamaran Business has been personally photographed and viewed by a representative of Boatshed Sud Med. Click here for contact details. Please note this comments section is public. Please do not post your personal details here. To enquire about purchasing this boat, please contact the broker directly at boats@boatshedfrance.com. Please read our commenting guidelines before posting.